One of the biggest mistakes that learning professionals make in delivering content is operating under the assumption that there is nothing new under the sun. To put it another way, they already know everything they need to know about creating training materials for organizations and how it should be delivered. However, this type of thinking can be detrimental in the future. 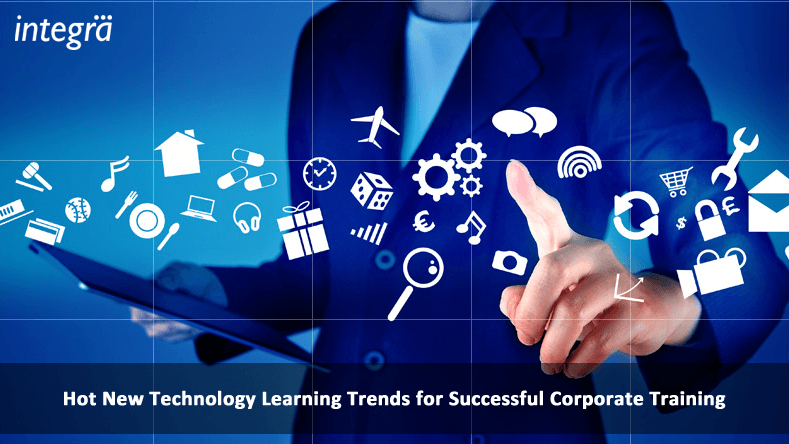 In the past few years, a cumulative effort of research and development in the learning industry has revealed several trends that will impact the learning strategies to be used. In particular, the exponential advancements in technology have allowed for these strategies to become viable choices for delivering content. Do you remember your younger years when you dreaded the thought of doing 5 minutes of homework, yet you could get endlessly lost in a fun video game for 5 hours? Well, science has investigated why these games keep us hooked, and reaches have applied what they discovered into creating an effective learning method. Using the same techniques used by game designers that include immediate feedback and the permission to fail without any feelings of guilt or shame, learning professionals can make their materials equally engaging. Technology will allow for gamification principles to be incorporated into electronic learning courses and encourage the learning process. Applications such as Lift or Coach.me have successfully embraced the idea of learning new things with an interactive community that is accessible at the touch of a fingertip. Learners will not only have access to other students but to the teachers for discussion of ideas and clarification on any questions they might have. Thanks to the advent of technology, communication between students and teachers will be instant and seamless in nature. If there is one thing that learning professionals will always agree on, it is that each person is individual in their learning style, and the speed at which they can process information. However, traditional methods do not allow for this as they are rigidly stuck with a “teacher-classroom” paradigm. Electronic learning has taken advantage of individual preferences by having users input their strengths and weaknesses in a given subject. Adjustments in the progression and difficulty of the material can be done by a supervising teacher or an algorithm that is designed for the course.